Authors are a natural fit for Medium. Medium’s book collection, Biblio, has a sizeable following, reflecting an interest in bookish content; authors are active on the platform; and Medium recently started an original author video series called Foreword, in which author Kelly Corrigan interviews the likes of Margaret Atwood, Mary Roach, and Walter Isaacson. But first things first. What exactly is Medium? And as an author, how can you take part? In short, Medium, like WordPress, is a simple publishing platform, which launched in 2012 as “a place to share your stories and ideas online.” Unlike WordPress, Medium is also a destination, a Twitter-synced social experience in which you follow the writings of people whose ideas you value. Founder Evan Williams (co-founder of Twitter) says it’s designed for “little stories that make your day better and manifestos that change the world.” Anyone can join.Medium gives special priority to the time users spend reading an article. Only the most relevant—deeply read, most recommended—articles rise to the top. In theory, this strategy weeds out click-bait and raises the quality of the content. What kind of content is on Medium? The “channels” featured on the Medium homepage are Culture, Humor, Tech, Design, This Happened, I.M.H.O., and Long Reads, and these headings reflect the kinds of content that become popular on the site. Self-help, sociopolitical issues, and writing advice also find a foothold among Medium readers. No matter the category, popular pieces usually share three characteristics: effortless and approachable writing, strong opinions, and subject matter that taps into an existing debate/conversation/area of expertise. How can authors use Medium? Second, spend fifteen to thirty minutes browsing the platform. Get comfortable with it. Find pieces that you like and bookmark them; find writers that you like and follow them. Third, follow Medium’s lead. Their editors have great guides on how to get started. 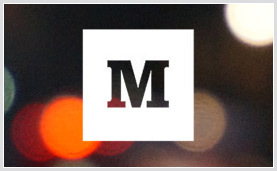 Check out How to Get Read on Medium and Tips and Tricks for Medium Writers, for starters. Fourth, once you’re ready to start writing, tap into your areas of expertise. Are you a novelist who has a lot to say about the craft of writing? Are you a nonfiction writer who specializes in politics? Sports? Art? Buddhism? Futurism? Write about that. Share your opinions, tie them in to relevant headline news, and start making use of writing ideas you have rattling around that you don’t know what to do with. Gretchen Rubin is a good example of a Medium user who has taken her writing skill set—self-improvement, time management—and applied it to her Medium account. Fifth, be persistent. Continue writing and you’ll be rewarded with more followers. You can track how well your articles are doing (pageviews, percentage of articles read) with daily statistics provided by Medium. Sixth, apply these six techniques to engage readers on Medium. Given Medium’s ethos as a platform for anyone to write, it makes sense that articles offering writing advice and pro tips would be like candy. And they are. Our first popular Penguin Random House post was A to X Writing Advice, Courtesy of Copy Chief Benjamin Dreyer. The article went viral fast. Writers from far and wide commented on it; the CEO of Medium tweeted the excerpt “TIL: ‘A blond man, a blond woman; he’s a blond, she’s a blonde’”; and the post has since reached over 87,000 people. The article earned half of that traffic a month after being posted, when a popular writing blog caught wind of it and linked readers directly to the Medium piece. The lesson here? Even if you don’t see traction at first, what you publish to Medium may have an infinite shelf life. Who knows what audience might later stumble upon your work? Joe Muscolino is an Associate Manager in the Digital Content Development Group.